Are you ready to cheer on the US today for the World Cup? If you somehow don't have to work today and can drink while you watch the game try out this tattered to taylored Boozin' Recipe! 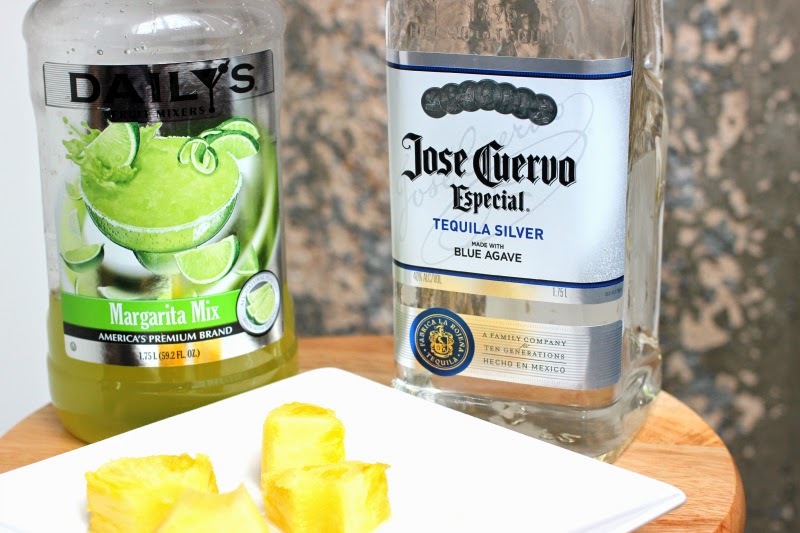 This recipe makes its too easy to go from a boring mixer-made margarita to a summery margarita! And it tastes just like that $8 frozen margarita you bought at your last happy hour. Cheap, cheap (said as a bird tweeting). 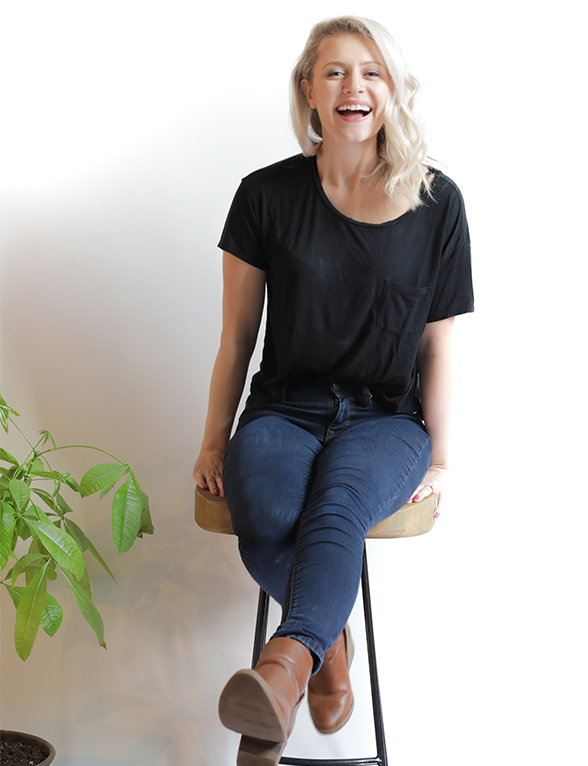 Pull out your magic bullet or blender. 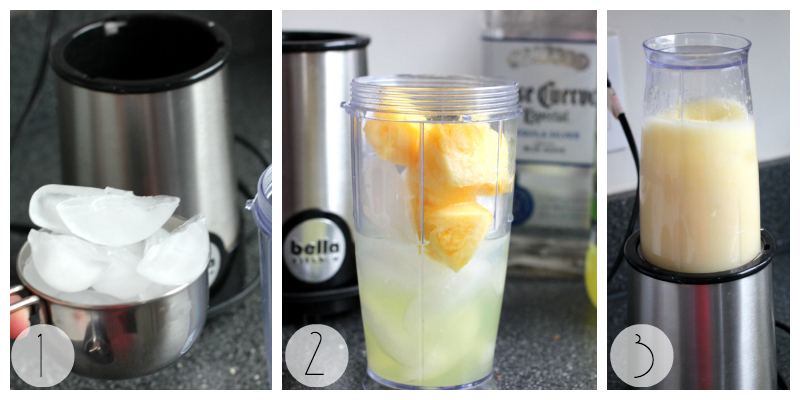 Add your one cup of ice, mixer, tequila, and a few chunks of pineapple, I used about three pieces for mine. Blend until you have the consistency of an ICEE and the pour into your glass. Bam, instant parrrtayyyyy. 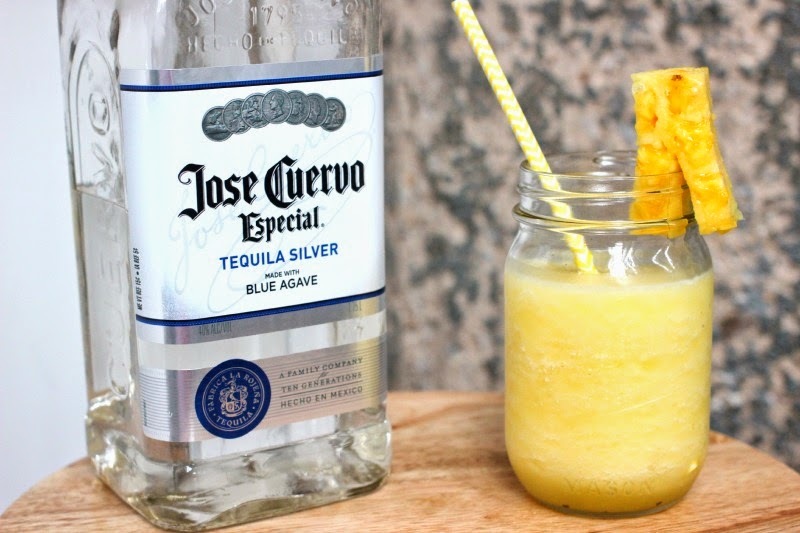 This recipe makes one margarita, but you could easy add a whole pineapple to blender if you want to make this for your friends. 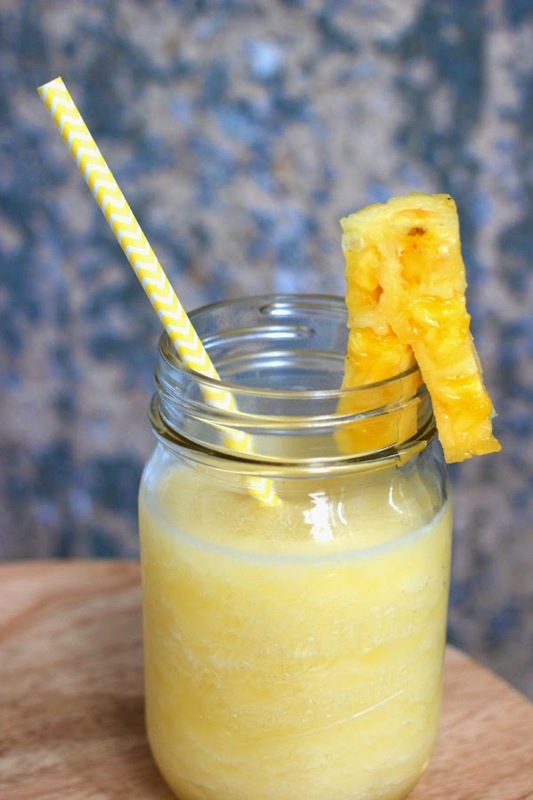 And if you don't have pineapple in your fridge, add whatever you have! You can't go wrong with a fruity drink. Have a Thirsty Thursday lovlies!